When you’re thinking about ways to direct traffic to your website, Reddit may not be your first option. But it should! According to the latest data from Reddit, the platform is the 5th most visited website in the US. It has more than 330 million monthly active users, and an average of 1.6 billion unique visits each month. This puts Reddit on par with Twitter as top social networks in terms of usage! But what is Reddit? Reddit is a collection of thousands of communities (called subreddits) built around specific topics, ideas, or hobbies. While some subreddits have millions of followers, others are pretty small. Each subreddit has its own rules, moderators, and overall atmosphere depending on its followers. So, why should marketers take Reddit into consideration? Just take a look at this list compiled by Alexa: Reddit comes in fifteenth, but it’s totally crushing the sites above it in the rankings when it comes to ‘Daily time on site’; even Facebook and YouTube! 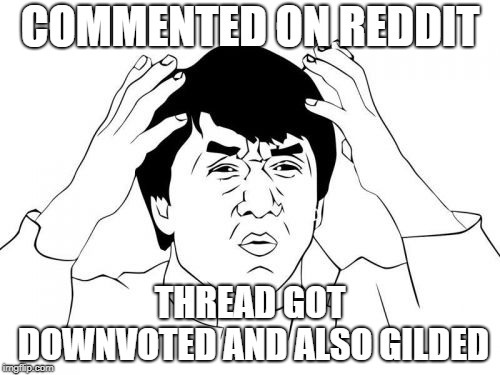 I hear this a lot – people go to Reddit and scroll the homepage without being logged in. And they. just. don’t. get. it. That’s because, when you’re not logged in, Reddit puts on its front page popular posts across the network; posts like adorable animals or hilarious fails. Not very appealing for serious marketers, right? But once you sign up and begin to follow topics of interest (like discussions about your brand, your competitors, industry news, etc. ), it all begins to make sense. First things first, there are three types of posts you can choose from depending on the content you want to share: text posts (which are hosted on Reddit), photo/video posts (also hosted on Reddit), and links (which redirect users to an external site). Link posts are great if you’re looking to boost your site’s traffic. If you’re interested in getting links, however, text posts or photo/video posts would make more sense. For a post to be successful, it also has to be relevant to the subreddit it belongs to. For example, AskReddit is one of the most general subreddits, a place where users ask all sorts of questions. It’s a must for every marketer to monitor the topics there and jump into relevant discussions. Once your account has enough positive karma (meaning you’re doing a great job on Reddit! ), you can start your own community. One brand that really knows how to take advantage of what Reddit has to offer is Glamour Magazine. To promote their Anna Kendrick issue, they created a cross-platform campaign, ShowerThoughts. By posting on a large subreddit, you’ll get more traffic. However, niche subreddits are full of engaged users who are easy to convert. Both strategies could work, so choosing one over the other comes down to marketing goals. Now that you (think you) have discovered how Reddit can help you with your marketing strategy don’t get too carried away! If you just create an account and begin spamming with promotional messages, the only thing that’s gonna happen is that your account will get banned. Or, even worse, you could get shadowbanned. The way the platform works is that every post belongs to its own subreddit, where it can be upvoted or downvoted. If it’s upvoted enough, it could make it to the front page, and that’s when the traffic spikes occur. But that’s quite difficult to obtain. On the other hand, if your post is just spamming the community, without adding any information or value, it will be downvoted into oblivion. If you constantly spam, you could get your account banned, or shadowbanned. Shadowbenned means you’ll be like a ghost, no one will see your posts. The worst part about being shadowbanned is that you don’t know you’ve been shadowbanned. Redditors don’t think twice before reporting a post and if you think that getting your account banned is no big thing, keep in mind that a banned account can lead to a banned domain! And that could become a serious problem for your business. Reddit users are extremely sensitive to marketing attempts. It shouldn’t come as a surprise if someone would check your posting history to see whether you’re a marketer or not. So make sure you “blend in”; link to quality content, post insightful comments on other’s posts, and use a 1 to 10 ratio when posting your own high-quality content. Becoming “successful” on Reddit takes a lot of time and effort. When your posts constantly get upvoted, your account gains “karma” points. Although the account’s karma doesn’t influence a post’s performance, it sure helps the individual build their credibility. To wrap it up, I think Reddit is a great channel you can use to increase traffic to your website, as long as you do your research and you commit to adding value to the community, not just shoving links in people’s face. This really makes a difference between people engaging with your content, and people reporting you for spam. A Reddit user started a thread asking the community how to handle replacing his Samsung S4 (the phone was burned, and the battery was melted). Samsung promised a replacement, but a month down the line the phone was still not replaced, and the company was ignoring his messages. And that’s when HTC came in and saved the day! They replaced the burned phone with their newest model and asked the user that, if he ever got that new Samsung phone, to auction it and donate the money to charity. Of course, this got lots of positive reactions from Redditors. So, what do you say? Are you ready to give Reddit a try?